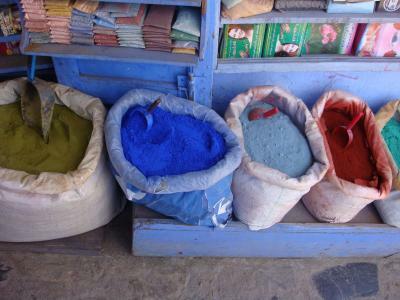 Chefchaouen or Chaouen is a city in northwest region of Morocco. The city is named after the shape of the mountain tops above the town, which look like two goat horns (chaoua). 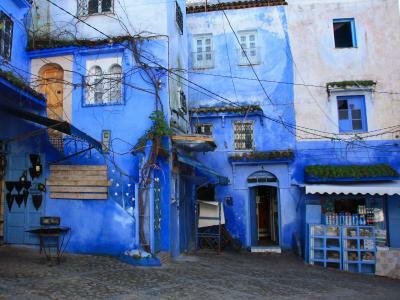 This city is known for its buildings painted in shades of blue. 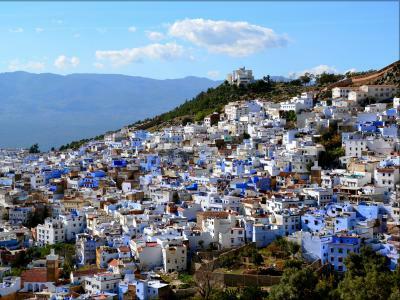 Situated on the Rif mountains just inland from Tangier and Tetouan, the city was discovered in 1471. It was a small fortress by Moulay Ali Ben Moussa Ben Rached El Alami. Around 200 hotels cater to the European tourists who visit during the summer. 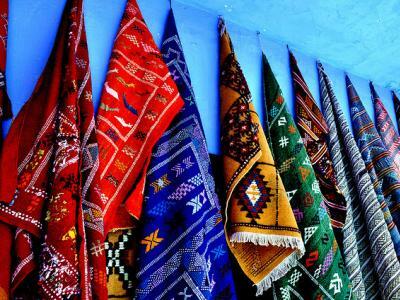 Chefchouen is a popular location for its native handcrafts such as wool garments and woven blankets, which are not available anywhere else in Morocco. The native goat cheese are also a popular hit. The country side around the city is known for being a prolific source of kief. This region is one of the main producers of Cannabis in Morocco. As a result, hashish is sold all over town. A nearby attraction lies one of the deepest caves in Africa!